With Keith Thurman set to face Danny Garcia in a welterweight unification bout this weekend, here is an updated ranking for the division’s top 10. No. 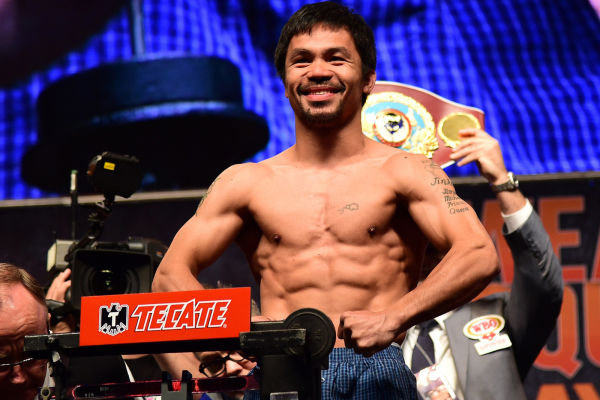 1: Manny Pacquiao I simply cannot respect any welterweight ranking that does not place Pacquiao at the top. He has the best resume of any active fighter in the division and last year, he had the best two wins of any fighter in the division. He’s slated to face a credible challenger in Amir Khan in April. No. 2: Timothy Bradley Are there other fighters in the division that I think might beat Bradley? Maybe. But resume must trump opinion in a credible ranking. And Bradley’s resume is second best in the division. No. 3: Keith Thurman I have Thurman and Kell Brook very close. But overall, Thurman has defeated slightly better fighters. No. 4: Kell Brook I am very curious to see how his body will handle the move back down to 147 pounds after facing Gennady Golovkin at 160 last year. No. 5: Shawn Porter A smart, very tough fighter. Has only lost to Brook and Thurman, in competitive bouts. No. 6: Danny Garcia Garcia was a legitimate world champion at 140 pounds, a rare thing in today’s alphabet-soup world. But his resume at welterweight has been less than spectacular. No. 7: Errol Spence Jr. In truth, he might be the best fighter in the division. His stoppages of Chris Algieri and Leonard Bundu were stunning performances. But those are second-tier contenders. He has the real thing in Brook later this year. No. 8: Amir Khan Khan would be a very tough potential fight for anybody ranked above him. I am interested in how he will do against Pacqiao. No. 9: Lamont Peterson Was a very good fighter at 140 pounds. Looked impressive in his welterweight debut, against a determined but second-tier opponent. No. 10: Jessie Vargas He is 1-2 at welterweight, but the losses were to Pacquiao and Bradley and the win was a very impressive knockout of Sadam Ali, a respectable contender.